Slow Motion in the fashion of Gastein - this is how you could call a hiking holiday in the mountains around the Gastein Valley. Steer leisurely towards your goal under the blue sky, soak up the alpine landscape with all its senses and watch the cows ruminate. Oh wait, something is missing! The stop at one of the many alpine huts in the mountains of Gastein with their culinary offers - from Kasnocken to the famous Kaiserschmarren. No matter if hobby hiker, sport climber or family with children - a hiking holiday in Gastein is great fun for everyone. Diverse tours in all levels of difficulty, cosy alpine hikes, climbing routes and numerous additional attractions such as the suspension bridge on the Stubnerkogel including a spectacular viewing platform or alpine playgrounds bring diversity into your holidays. At any rate, there are enough mountains. No matter if you climb up to the high summits of the Ankogel Group or hike along the lonely paths on the Goldberg Group - discover the joy of hiking and the typical flora and fauna of the Alps as well. The apartment house of the Kurparkhotel is situated in a premium location right at the Kurpark in Bad Hofgastein. From here you will start your hiking tours - either directly by foot or after a short drive - depending on your hiking destination. After an adventurous day in the mountains, the modern comfort of our holiday apartments will await you. 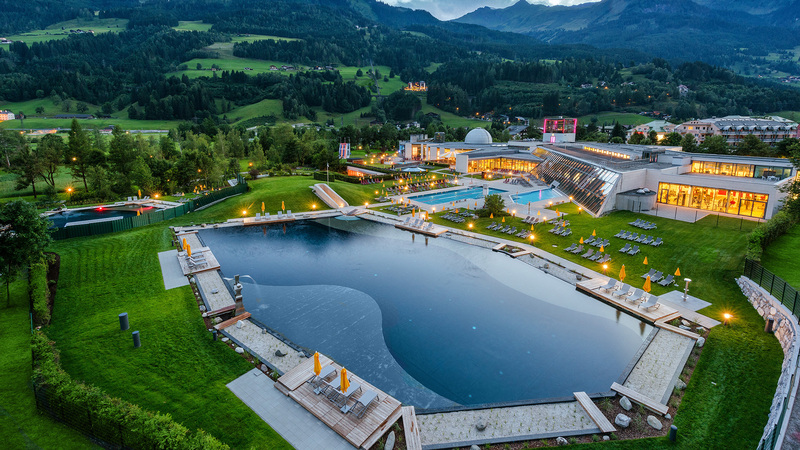 And right in the neighbourhood there is the Alpentherme Gastein with its thermal swimming lakes and other attractions that you can reach for free through the comfortable underground passage. Fancy a hiking holiday in the Gastein Valley? We can really understand that. And we have a suitable holiday apartment for you - contact us! We will also be happy to give you some hiking tips - from beautiful tours to demanding routes to nice promenades in the mountains of the Salzburger Land.